Partnerships are a key every year to the Lake City Holiday Project. MC2 expanded their connections in the community this past 2015 season and realized a healthy amount of support. The kick off for the season of giving was strengthened early in the Fall. Lake City’s premier human service provider, the North Seattle Family Center, joined the campaign to expand and increase outreach into the community. Other highlights of support included new faith based donor groups, expanded retail efforts and a strengthening of existing resources. All make for a total of 981 children receiving gifts donated this season. In addition to support, registered families also received gift cards for groceries. The Lake City Holiday Project was also able to donate diapers and other new family products to the North Helpline. 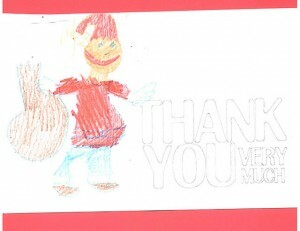 We appreciate very much the many partnerships and giving spirit of the community this season. We thank everyone for their kindness and care. 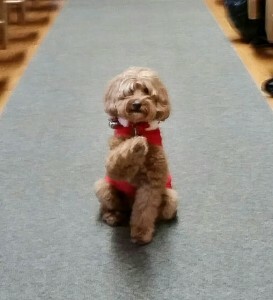 MC2’s canine rep, Dewey, gives a ‘paws’ up on a successful season of giving.